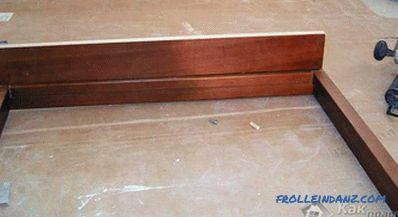 More recently, the toilets were fastened to the taffeta - a piece of wood, mounted in the floor. Now this method is irrevocably obsolete, because more new advanced methods have appeared, which allow to do without such mortgages. Nevertheless, the echoes of the past still make themselves known, which is reflected in the impossibility of even the slightest raising the floor level, since in this case the withdrawal will not be combined with the bell of the cast-iron sewer pipe. In this case, you have to lay the tile around the installed toilet bowl, which is somewhat inconvenient, and it does not work out very well, since the edges of the cut tile do not always fit snugly to the base of this sanitary ware product. 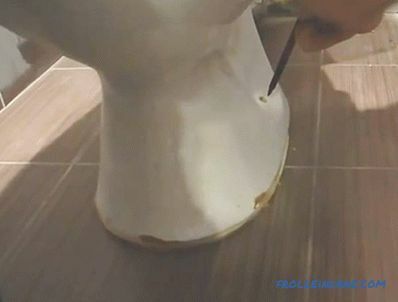 Fortunately, this method is used very rarely, so we will tell you how to install the toilet on the tile with your own, since this method is the most common. Most often, the tile layout on the floor of the toilet is planned, based on the convenience of laying or to maintain the planned style. This approach can not be called wrong. But when installing a toilet bowl on a tile, there is often another problem - the opening for fixing the device has to be drilled at the junction of tiles or on the edge, which often leads to chipping of the tile. This does not affect further installation, but the type of flooring can be badly damaged. 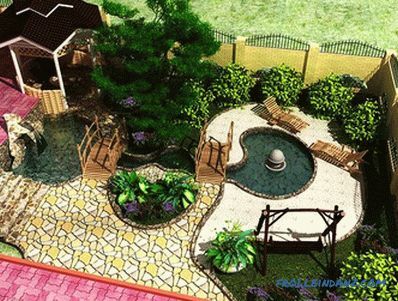 If this is possible, then it is better to decide in advance on the installation site of the toilet bowl and make sure that the tile is laid in one plane, and so that the holes have to be drilled at least a few centimeters from the edge. Now you can do the installation. 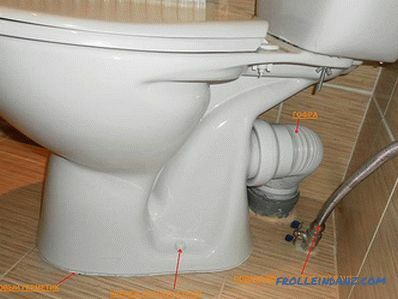 If the toilet is connected to the sewage system with a corrugation, this gives some opportunity to change its position. When connecting to the socket, there are no options. In this case, you need to install as it will stand in a fixed state. The toilet is placed on the floor so that the outlet can freely enter the socket (bottom or side connection - no difference). After that, you need to check whether the device is level, and, if necessary, align it. 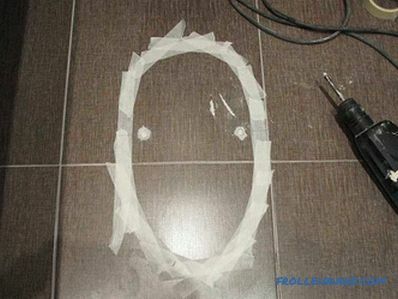 The sole needs to be outlined with a marker so that a clear mark remains on the tile - this will help to install the device in the same place later. A simple pencil (or marker) is used in the course. With it, through the mounting holes make marks on the tile for mounting hardware, then remove the toilet to the side so that it does not interfere. Most often, drilling is carried out by a punch, with a drill set in it. 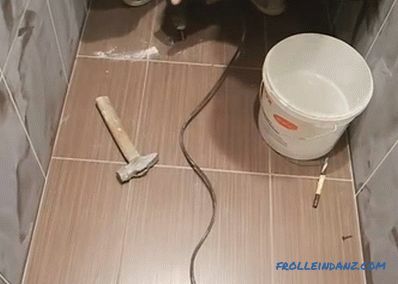 The device must have the drilling mode selected, but the hammer mechanism is turned off, otherwise the tile will crack. 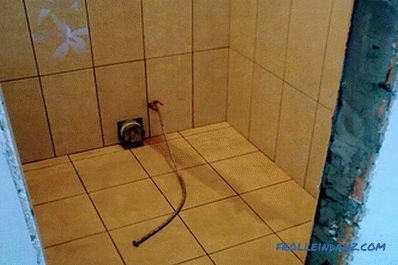 In problem areas, where there is a high probability to destroy the edge of the tile, it is better to use a crown designed for drilling glass. 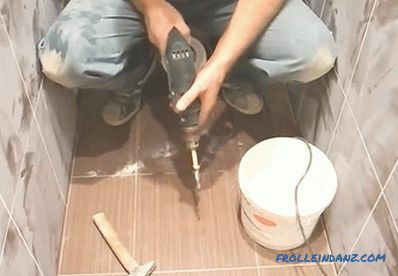 If the drill slides on the tile, then in the place of drilling it is necessary to scratch it with a core or slightly nack tiles, - setting a goal, chop a small piece of enamel. 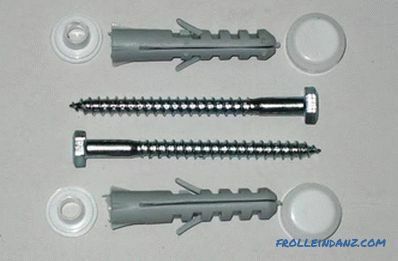 Having drilled a tile, switch the punch to the percussion mode and drill a hole in the base, a little more than the length of the plastic dowel that is in the kit of the purchased fastener. In order not to be mistaken, on a storm you can mark with a tape the level to which he must enter the floor. The enema can be used to blow openings to prevent debris. If the enema was not at hand, then use a vacuum cleaner. Once again, check the depth of the drilled holes to make sure that everything is done correctly. This can be done with a pencil. Just insert it into the hole, grab it near the hole and pull it out. Then you can compare the existing result with the length of the dowel. If everything is in order, then we will continue to work. In that case, if you see that the dowel will not enter the entire length, you need to clean the hole again or deepen it with a drill. Insert the dowels into the drilled holes so that they are flush with the tile. If necessary, the dowel can be driven with a hammer, but only very carefully. On the outer edge of the markings, glue the tiles with masking tape. Apply a layer of sealant along the inner edge of the contour marking, and place the product with the sole clearly on the sealant. 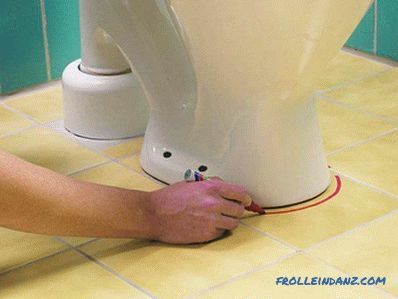 The toilet bowl is connected to the socket through the cuff (when using corrugations, the connection to the riser is made after installation) and installed in its place. It remains to fix it on the floor with the existing fasteners. After the sealant dries, the masking tape is removed. The installation of the toilet bowl is complete on this, and it can be used, but there are cases when the fixture cannot be used. This is discussed in the next section. 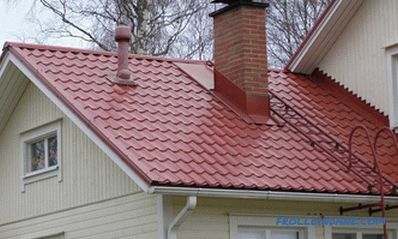 The base is very strong and cannot be drilled (this happens very rarely). 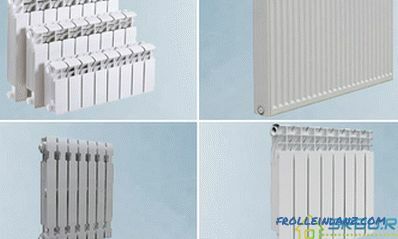 Under the tile, in the place where you want to drill, laid communications, such as underfloor heating, plumbing or electrical cable. Anyway, since there is a question, it means you need to give an answer to it. 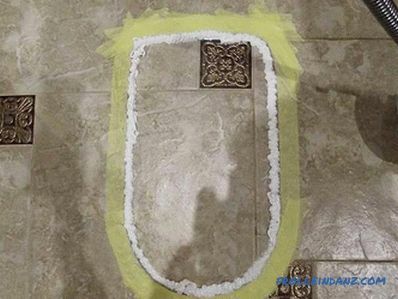 We will not repeat, therefore we will start the installation process from the point when the toilet bottom was outlined with a marker, leaving a clear mark on the tile. 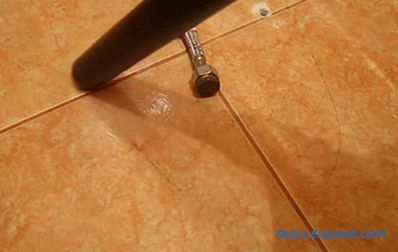 We need a grinder and a wiper (peeling) circle, which need to remove the top layer from the tile inside the marking. The thickness of the layer being removed is equal to the thickness of the inner rim of the heel of the toilet bowl. There is usually no enamel on the bottom of the toilet bowl, but if there is, then it should also be removed. You can often hear recommendations that the installation can be carried out without drilling, using an ordinary cement-sand mortar. We immediately say that this is not the best option, because such a connection would be unreliable. 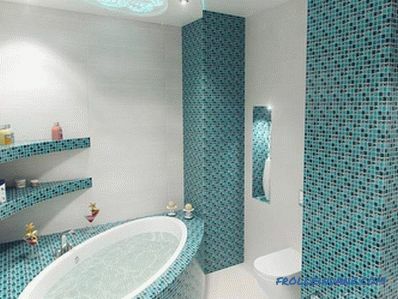 Take the liquid nails №915 (for bathrooms) and apply it abundantly on both surfaces, degreasing them first. In order for the toilet not to sink to the very foundation, we will use crosses for tiles with a thickness of 2-3 mm, putting them in glue. Now install the device, slightly pressing it down. Liquid nails provide reliable fixation, but you need to wait at least a day, then remove the crosses and seal the voids with glue. If time allows, it is better to start operation no sooner than in a week.